Would that we were in spring looking forward to a splendid summer. Instead, in mid-July we are heading into autumn towards what looks like a stern, drab and ominous future. Theresa May is prime minister, perhaps the worst nightmare for those who seek cannabis law reform. You have to admire her first few days though. What you see is what you get. She is smart, calculated and very, very certain about the nature of the government she will lead. I have no doubt she has a softer, caring side and there is testimony to that effect from those who support her. She is a strong woman, she will be sympathetic to people and causes that she chooses but ruthless and absolute against those she opposes. Our problem is that, as confirmed by both the National Audit Office and Public Accounts Committee, evidence has nothing to do with it. Theresa May’s drugs policy is based on her personal opinions and even the plight of those in chronic pain and disability is unlikely to change her mind even on the medicinal use of cannabis. I remember Norman Baker told me that she simply does not comprehend that cannabis can be a legitimate medicine. The very idea is anathema to her. It is beyond her comprehension. The daughter of a vicar, who attended a convent then a grammar school, she has a lot about her that suggests piety, reserve, self-discipline and control. Admirable qualities but lacking perhaps in empathy with modern lifestyles and values. But this is a fresh start. Amber Rudd, the new Home Secretary, is cast from the same mould as Ms May. My MP, Oliver Letwin, himself disposed of in the new cabinet, has already written to Ms Rudd and asked her to see me. As of today, CLEAR represents nearly 700,000 registered supporters, equivalent to the electorate in more than eight parliamentary constituencies, so I think she has a good reason to give me a few minutes. I will continue to press for a meeting until she or one of her junior ministers agrees to see me. It can only help that I am now a fully paid-up member of the Conservative Party. I made this decision shortly after the EU referendum and I have also joined the Conservative Policy Forum which works to influence Conservative Party policy from the grassroots. I will be advancing the cause of medicinal cannabis and wider drugs policy reform as quickly and effectively as I can through the party’s established channels. Whether it is a short or long game, it has to get started now. I do believe this is the best way forward for the cannabis campaign. I will work from within the party of government to try and influence change. It is more than likely that the Tories will be in power for the next 10 years, if not more. Now is the time to get involved, face our opposition, engage with those who have power. Every other UK political party is in disarray. When we relaunched the Legalise Cannabis Alliance as CLEAR Cannabis Law Reform in 2011, we brought a totally new, professional approach to the campaign. Others have followed and there is now a significant group that understands how to use professional lobbying techniques. The greatest achievement of this has been to get the Liberal Democrats involved and although there remains great resistance amongst party members in the shires, the leadership is very much onside. Sadly, the party itself is as far away from power as it has ever been and, in my view, has swung widely off course in a futile and misguided effort to reverse the referendum result. Such whimsical strategies have always been the LibDems’ problem. Unless a political revolution suddenly makes Corbyn a serious contender then there will be no other party in power but the Tories. This is where we must invest time, effort and all our resources. We must understand how to turn Tory aims, ambitions and viewpoints to our advantage. Which arguments will work and how do we get them across? Although we now have a more professional campaign and several individuals with real ability, now is not the time to revert to talking amongst ourselves. Conferences, meetings, documentary films and events are all very well but they almost exclusively preach to the choir. Just like the demos and protests that have at last ebbed away, they make those involved feel good and they ramp up morale but they do little to create change. This is no way to make progress. I will ensure that CLEAR is on the front line. It is those who oppose us that we need to be talking to, not those who already agree with us. At the same time, specifically on medicinal cannabis, our focus must be on the medical profession. We published ‘Medicinal Cannabis:The Evidence’ just over a year ago and it has added real credibility to the campaign. In a few weeks when the APPG for Drug Policy Reform publishes its report on medicinal cannabis, Professor Mike Barnes will release his own review of current evidence and it will become the definitive work on the subject. CLEAR will be taking this to GPs all over the country, to the Royal Colleges and particularly to those working in pain management. We already know that thousands of doctors endorse their patients’ use of cannabis for chronic pain, it is time to bring this out of the closet. Doctors and nurses have literally been terrorised into keeping quiet about cannabis. We have first hand knowledge of Home Office officials warning off doctors who have tried to assist their patients by prescribing Sativex off label or recommending Bedrocan. This must stop. We must equip the medical profession with the evidence it needs to be able to do the best by its patients. I know many will be downhearted by this new government but change is always a good thing. It offers us the opportunity to renew our campaign. Most important, we must walk towards the enemy, not hide in our bunkers, fearful of their response. All over the world, mainstream opinion is turning in favour of cannabis as medicine and wider drugs policy reform. Now is the time to step forward, to do all we can to educate and inform those who are still in the dark. I have set out above what CLEAR’s new strategy will be. Please join us. Become a member. Sign up here. Your first duty? Make an appointment to see your MP. This is the most effective thing you can do. We will publish new guidance in the next few days on how to prepare for and conduct these meetings. Email To My MP On Conduct Of Tory MPs At PMQs. The disgusting behaviour of your colleagues in the House today was shameful. They demean Parliament and our entire political system, not to mention the elected government and, most important of all, our nation. The spectacle of these pompous buffoons conducting themselves in a manner that would be unacceptable from primary school children is just too much. It appalls me and, I am sure, all decent people throughout the UK. They are pigs rooting in a trough of self-indulgent hypocrisy. Each one of them could do with 24 hours in a cell to contemplate their behaviour which is far worse than some drunken yobbo vomiting in the gutter after a binge drinking session. That all Cameron can do is smirk makes the whole matter worse. His failure to act makes him the most culpable oaf of all. Please ensure that my views are communicated to the prime minister, your colleagues in cabinet and other Tory MPs. On The Eve Of The Cannabis Debate, CLEAR Meets Top Government Minister. 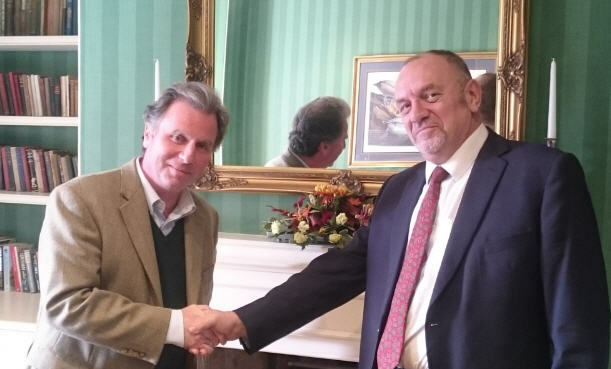 Today, Friday 9th October, in advance of Monday’s cannabis debate in Parliament, I met with Oliver Letwin, the Cabinet Office minister with responsibility for the implementation of government policy. According to The Independent, Oliver Letwin is “probably the most powerful person in the government after the Prime Minister and Chancellor”. I first met with him back in July and he agreed to investigate the possibility of cannabis being available on prescription. When the cannabis debate was announced, I asked to see him again before the debate took place and he very generously arranged to see me just in time. Monday’s debate will be the first time in nearly 50 years that MPs have had an opportunity to consider the subject. Throughout the world, more and more governments are waking up to the huge damage that cannabis prohibition causes. Nearly all the harms around cannabis are not caused by cannabis itself but the laws against it. Prohibition of anything for which there is huge demand inevitably creates a criminal market. More than three million people in the UK choose to use cannabis regularly. We consume more than three and a half tons every day and spend more than £6 billion every year, all of which goes into the black economy. Since the early 20th century, acres of newsprint have been devoted to telling us how harmful cannabis can be. The alcohol industry fiercely guards its monopoly of legal recreational drug use. It has enormous influence in government and its £800 million annual advertising spend give it great power over the media. But the truth is becoming clear. Scientific evidence and real world experience show that compared to alcohol and even common painkillers and over-the-counter medicines, cannabis is very, very safe. Concerns about mental health impacts are proven to be wildly overblown as cannabis use has escalated by many orders of magnitude but mental health diagnoses have remained stable. Increasingly, those responsible for drugs policy realise that abandoning this huge market to criminals only makes things worse. Criminals don’t care who they sell to or what they sell, so children and the vulnerable become their customers and their product becomes low quality, contaminated, often very high strength ‘moonshine’ varieties. A Win Win Proposal To The UK Government On Cannabis. Perhaps the most pernicious effect of cannabis prohibition is the denial of access to it a medicine. 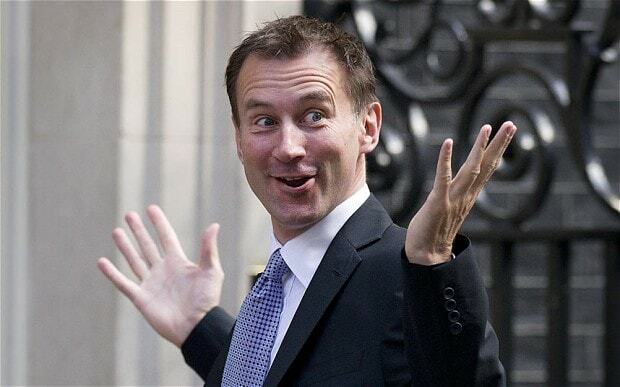 On this, Mr Letwin has been consulting with other ministers in the Department of Health and the Home Office. He says he is now convinced that there is a very positive future for cannabinoid medicines. As a result, I hope to be meeting again shortly with George Freeman MP, the Life Sciences Minister. I led a delegation of medicinal cannabis users to meet with him at the beginning of this year. Mr Letwin has indicated to me that it is Mr Freeman’s office that needs to deal with this, so I am hopeful of real progress in the near future. Mr Letwin warned me that the debate itself will not produce any change in the law and I acknowledge this but it is part of the process that will eventually get us there. I suggested that there is a win win option that could be implemented very easily and quickly. There is huge pressure on the government to act but also great inertia and resistance to change from the old guard. I proposed that if cannabis could be moved out of schedule 1 of the Misuse of Drugs Regulations it would enable doctors to prescribe it and researchers more easily begin the task of developing and testing new products. The great benefit this would offer to the government is that it would be seen to be responding to the evidence, being progressive and keeping up with the worldwide movement towards reform. However, for the more conservative thinkers, the ‘tough on drugs’ mantra would remain in place. Cannabis would still be a class B drug and all the same penalties would remain in force. Both sides of the debate could see this move as a success for their argument. So we all look forward to the debate. As is normal practice, no government ministers will participate but I expect a Home office minister will give some sort of response. We are making progress. Revolution is not the British way but I do think we can continue with guarded optimism that our message is getting through and the direction of travel is certain.